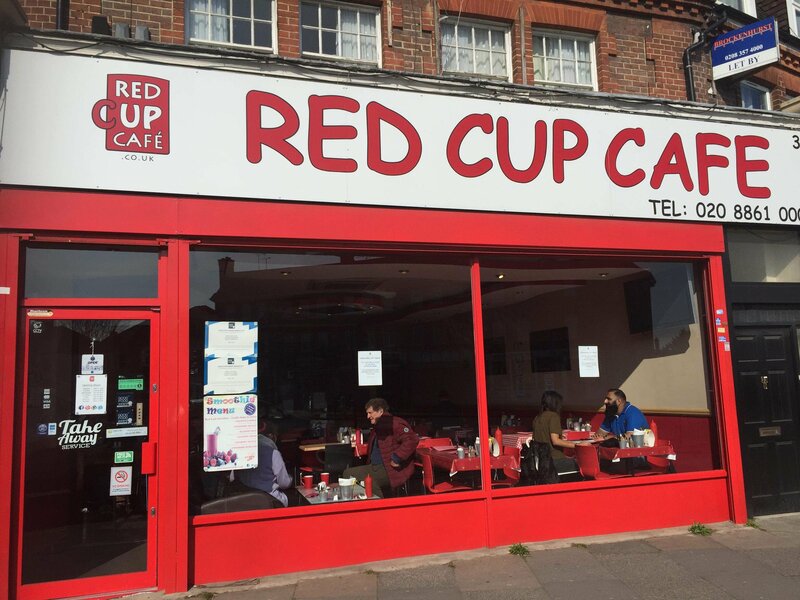 Red Cup Cafe on Station Road, North Harrow has been voted the ‘Best Cafe in Harrow’ on numerous polls we’ve done over the years. 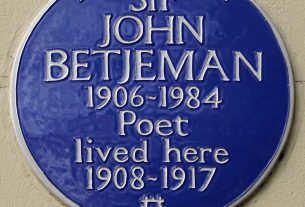 It often gets mentioned and recommended on our Facebook group so we thought we’d find out the back story to this popular place within our community. We sat down for a chat with Reena Chotai who runs the cafe along with her husband Henal. Enjoy! Tell us a bit about Red Cup Cafe, how did the idea become a reality? what year did it open and how has it developed since? Henal and I opened Red Cup Cafe in September 2015, after a few months of renovating a former Indian restaurant. The idea behind the cafe was that we enjoying cooking, socialising and having people to our home for dinners, but that wasn’t feasible, so we looked at our local area (we live 10 minutes walk away from the cafe) and thought North Harrow needed a decent, good quality and reasonably priced place to eat. Since opening in 2015, we have gained numerous awards, most notably the Good Food Award for 3 years running and we have consistently maintained our 5* hygiene rating from Harrow Council. What types of challenges have you faced as a cafe in Harrow? 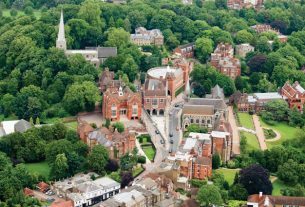 The main challenges we face running a small business in Harrow would mirror others in the same position; high business rates, lack of support from the council and closure of other local businesses. It took years just to get 20 minutes free parking for North Harrow as other areas were subsidised and deemed a higher priority. Do you get involved in any local community activities? We like to think of the cafe as a community hub, and try to support local community events where possible. We recently catered for the official opening of the North Harrow Community Library which is a great bonus for the area. We also support local schools by donating raffle prizes for their Summer and Christmas fairs. Our charity of choice for the cafe is St. Luke’s and we sponsored their Hospice to Hospice walk in 2015. 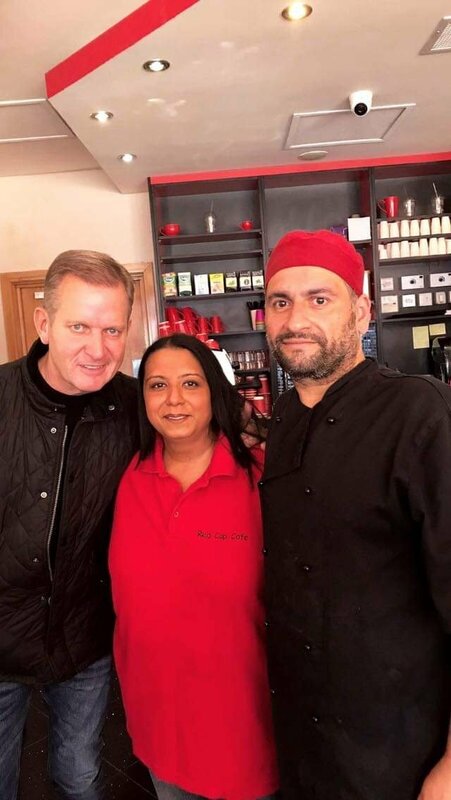 We understand a certain Mr Jeremy Kyle recently visited Red Cup, what was he like and what did you speak with him about? 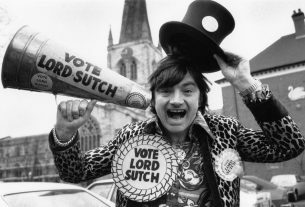 Yes, he certainly did pop by! Mr Kyle and his team were in the area filming, and along with the local police force and some members of Harrow Council, they popped by the cafe for breakfast in October 2018. He is a lovely guy and polite. They all enjoyed a variety of breakfast dishes. He was very complimentary about the cafe and the staff. I think he must have really enjoyed his experience as he popped by a week later for lunch! Have you ever had any other celebrity or notable customers over the years? We haven’t had any other celebrities to my knowledge, but a very regular customer was our local ward councillor James Bond, before he retired. We have also has previous Mayors of Harrow at the cafe, but we like to think that all our customers are our notable customers. What is your most popular order from customers? 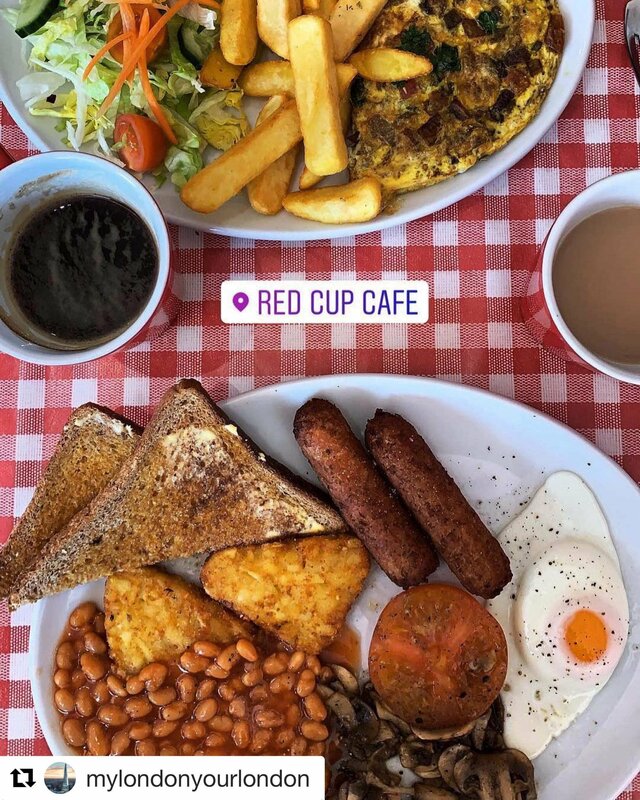 As we have a varied menu, ranging from breakfast dishes, to omelettes, to burgers to jacket potatoes, it’s difficult to say, but our All Day Red Cup Breakfasts are extremely popular. We also create weekly lunch specials which have an international theme to them, and all of our soups are made fresh, which are also popular with customers. What are your future plans for Red Cup Cafe? any plans to expand into other areas and/or create a franchise? That would be telling 😉 We do have plans for the future but all we can say at the moment is follow us on our social media pages @redcupcafeuk and keep your eyes peeled!